Marchers met at—when else?—high noon. 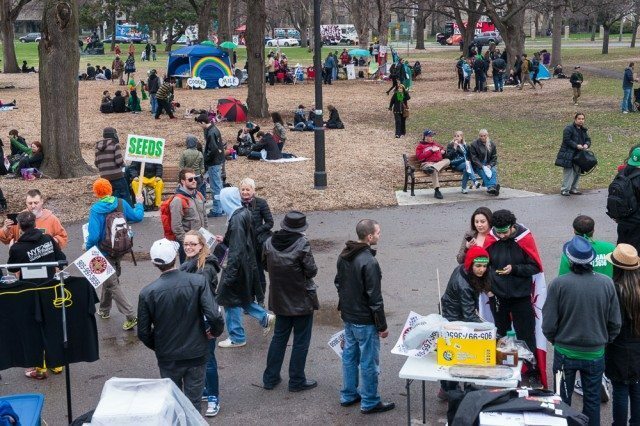 WHAT: The Global Marijuana March, which started at Queen’s Park and wended its way up to St. Joseph and Charles streets. Now in its 16th year, the march is the largest of its kind in the world, and attracts more than 25,000 supporters of medical and recreational cannabis use. This year, participants protested recent changes to Health Canada’s medical marijuana program and the federal government’s new mandatory minimum sentences for marijuana possession.